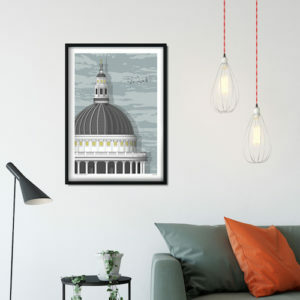 This blank card features the iconic St Paul’s Cathedral and is the perfect gift for anyone who loves London architecture. An Anglican Cathedral dating from the late 17th century. It was designed in the English Baroque style by Sir Christopher Wren and its construction was part of a major rebuilding programme in the City after the Great Fire of London. The cathedral is one of the most famous and most recognisable sights of London. Its dome, framed by the spires of Wren’s City churches, dominated the skyline for 300 years. At 365 feet (111 m) high, it was the tallest building in London from 1710 to 1962. The dome is among the highest in the world. St Paul’s is the second largest church building in area in the United Kingdom after Liverpool Cathedral. The design is digitally printed on to 300gsm FSC certified card and comes packaged in a recyclable cellophane wallet. Each card is left blank inside for your own message. Everyone needs a bottle opener, especially if it’s conveniently attached to your fridge. 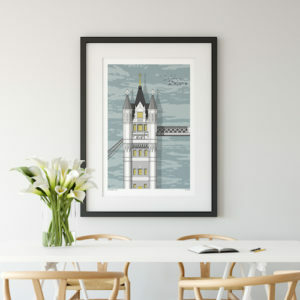 Brand new prints featuring detailed close up views of our most popular designs. © 2017 Linescapes. All Rights Reserved.